A deliciously therapeutic yoga flow! A one hour serving of a sticky, slow flow, lathered by some yin yoga postures, held for a juicy amount of time, coupled with a restorative asana topping. Relaxing & and sweet, rolled into one! Experience a gentle, nourishing practice with the support of props, breathing exercises and meditation. The perfect antidote to help eliminate stress, tension, and deactivate our fight or flight mode of living! Allow a healing energy to transpire and develop a greater understanding of you. If you are ready to dive below the surface and seek to gain greater flexibility, the challenging practice of Yin Yoga will move you beyond the muscles, targeting the dense connective tissues, of the lower spine, hips, pelvis and hamstrings. The postures are held from 3-7 minutes resulting in a deep release of habitual holding patterns in the physical body. This practice will benefit everyone, especially those with active lives (cyclists, runners, Vinyasa/Ashtanga Yoga Practitioners). Ready for some serious yoga Toronto? 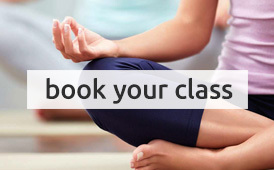 Move into a delicious fusion flow of yoga styles that provide balance and strength. The yang-style vinyasa aspect of the class will be both challenging and creative. The heart will soar through the rhythmic intensity of breath matched with movement. Prana will be further mobilized and range of motion restored through the long, static holds of yin yoga postures. The result is a resilient body and a poised mind. A moderated paced vinyasa flow class that will help you stretch and strengthen the entire body. Special attention will be given to the hamstrings, hips, calves and spine. Students will be encouraged to use the breath as a tool to dive deeper in to their practice. Variations and modifications will be offered for all levels. Work and tone your entire body with strengthening yoga poses to build stronger, leaner muscles and enhance flexibility. Designed to cleanse and support all of your body's systems, yoga for strength sequences will awaken your physical and mental strength. 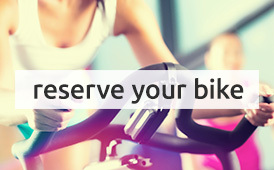 An excellent class choice for cyclers, runners and cross-fitters alike. A healthy sweat-quenching lively flow to awaken the soul! Journey through postures at a steady pace and deepen your awareness of breath and movement with a focus on your body’s alignment in poses. 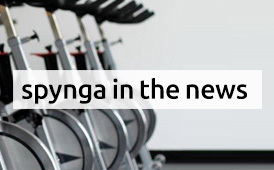 Increase strength, flexibility and vibrancy. Watch your practice blossom! A gentle, slow paced class using longer, juicy holds to soften the mind, open the body, and reconnect with the heart. From this place of wholeness, you will be guided in a short meditation to reconnect with yourself. An energetic power hour designed to build heat and strength. This practice will challenge your mind, your muscles and will enliven your spirit!